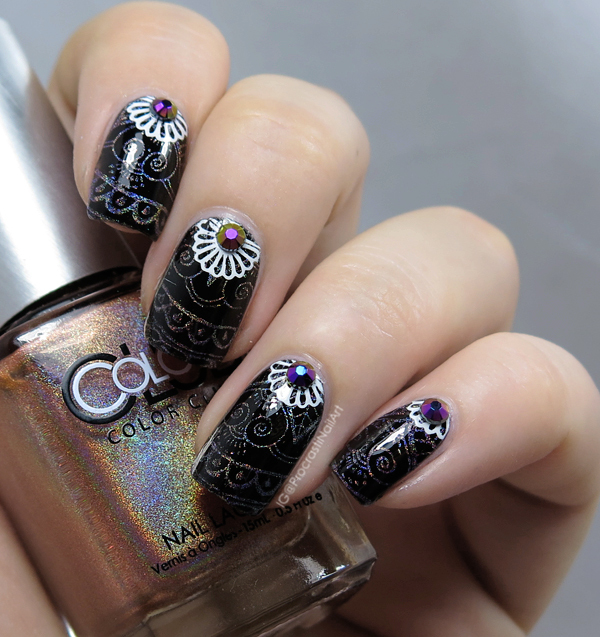 Yes, I tried to make this a holo-rainbowy-stamping-gorgeousness mani but it didn't quite work out how I expected. At ALL. Bummer! It's still pretty, but not pretty in the way I had planned.. 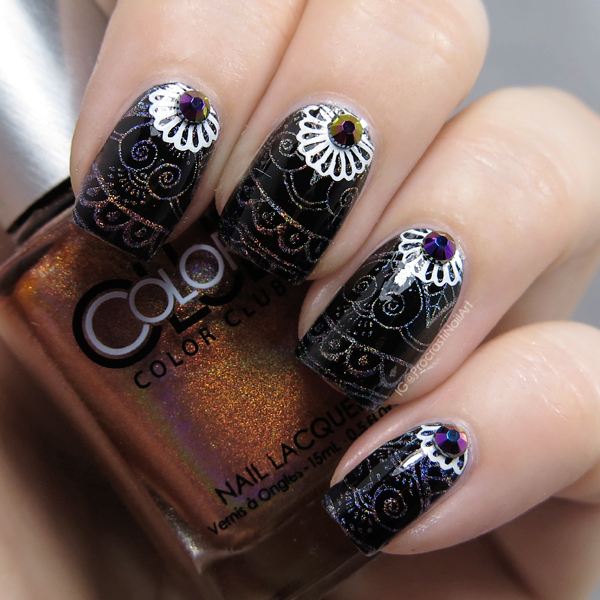 I used plate BP-92, and to add some visual interest since my gradient didn't work out well I also used the same plate and Mundo de Unas White to stamp these decliate lacey designs at the top an added a multichrome gem to each nail. 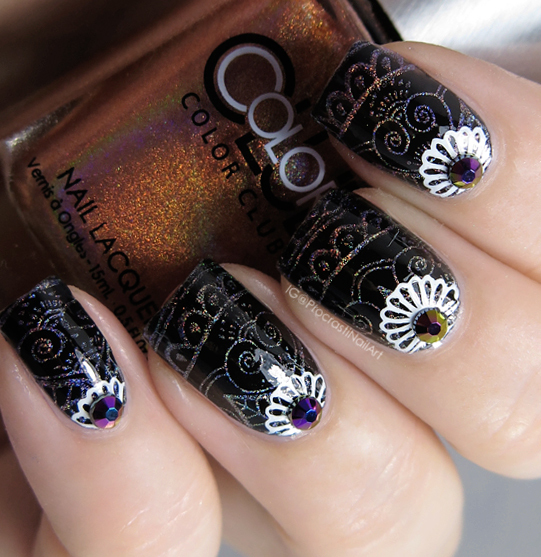 For some reason this mani makes me think of both judges (with the black and white) and doilys (with the white stamping). Hahaha. I mean, I really like how these nails turned out all things considering! But those are also the things that come to mind when I look at them. :) What do you think? 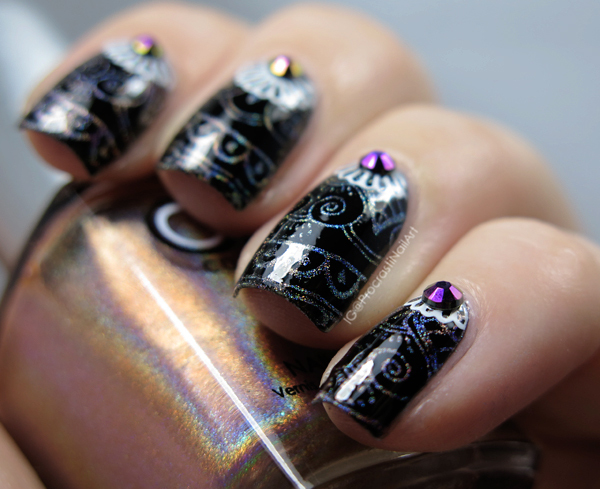 The holo stamping looks pretty amazing. 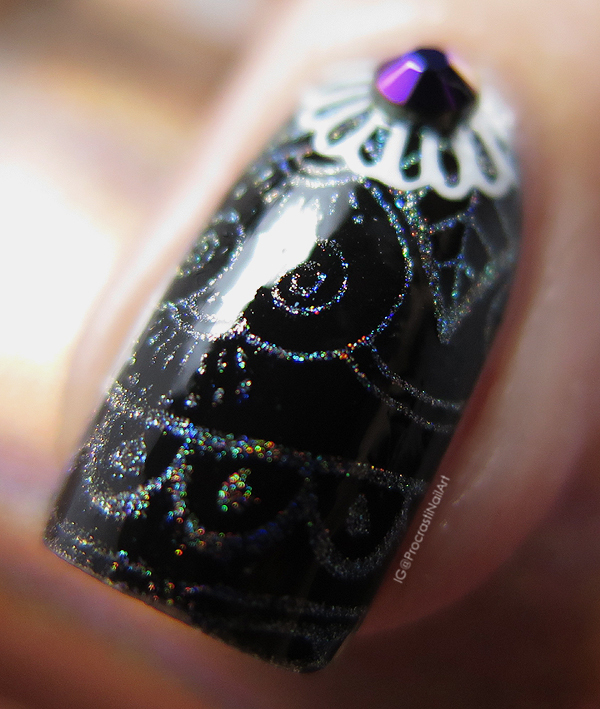 I think the holo stamping showed up well! I do see judges now that you say that lol! 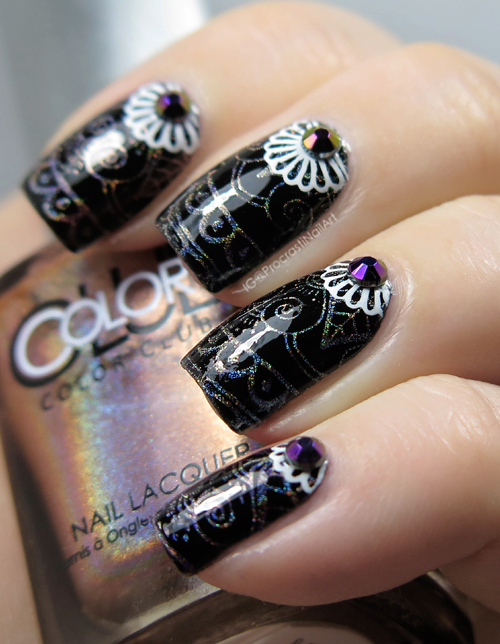 I love the holo stamping so much!